Summertime—the blissful season of pool parties, backyard barbecues and long walks on the beach. While it may be a spectacular time of year, summer can be potentially dangerous for your pets. After all, temperatures can rise above 90 or 100 degrees Fahrenheit in many areas of the country, putting your pets at risk of heat stroke, burns and other injuries. It might seem obvious, but pets get just as hot as you do outside. When the temperatures are high, carefully limit your dog’s time outside and be sure to bring him inside to hang out where the AC can keep him cool. Overheating can happen quickly in dogs and has many detrimental effects on health, so it’s better to be safe than sorry. Parking in the shade and leaving the windows open does not prevent the heat from rising. It is never OK to leave your pet in a parked car for any period of time when you’re running errands. You know how much it hurts your bare feet to walk on scorching concrete? It can hurt your dogs’ feet as well, so avoid walking them in the middle of the day or stick to grassy areas. You might not think of skin cancer when you think of pets, but it does occur. Luckily, your pet’s fur provides some protection, but it doesn’t take care of everything. When taking your dog outdoors, make sure you protect areas that are hairless or non-pigmented with a sunscreen made specifically for dogs. These areas often include the bridge of the nose, tips of the ears, belly and groin area. Cats generally aren’t taken outdoors in the same way dogs are, however they can still be vulnerable even indoors. If your cat enjoys spending a lot of time sleeping in a sunny windowsill, consider adding a shade or film to the window to help filter out UV rays. The good news? Dogs and cats often enjoy cool treats the same ways humans do, and there are tons of dog-friendly and cat-friendly popsicles that are quick and easy to make. When your dog or cat looks warm, give him a cool treat (or two). Regardless of the season, a pet’s fur exists to regulate body temperature, so grabbing the clippers and giving your pet a serious haircut during the summer can actually lead to greater discomfort. It’s OK to give a long-haired pet a slight summer trim to help keep his coat more manageable, however it’s best to take him to a professional groomer. Some dogs love swimming or playing in water during hot summer days, but it’s best to limit this to the sprinkler in your backyard or larger bodies of water with significant surface movement. Stagnant water in some lakes or ponds can develop a layer of algae on top, certain types of which are toxic and in some cases fatal for pets. Fireworks are popular at many different types of celebrations over the summer months. While you may have the urge to include your pet in the festivities, don’t. More pets are lost around the 4th of July holiday than any other time of the year. During the 4th of July and any other celebration using fireworks, always be sure to keep your pets safely indoors. If a fireworks celebration has occurred close your home, be sure to do a yard check the next morning to make sure your pet isn’t injured by any leftover debris or unfamiliar objects. 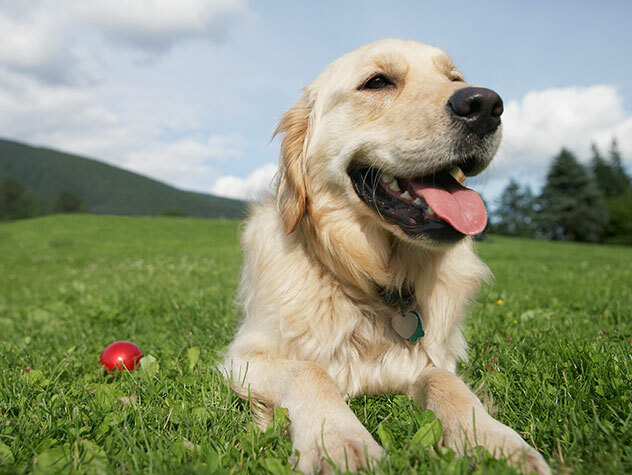 It’s also important to watch for signs of heatstroke, like heavy panting, drooling, fatigue and discomfort. Symptoms may progress to include vomiting, lethargy, disorientation and even seizures. Heatstroke is a serious condition that requires immediate treatment. If your pet exhibits any of these symptoms, bring him into a cool or air conditioned room, place cool, wet towels on the back of the neck, in the ‘armpits’ and groin area and head immediately to your vet.